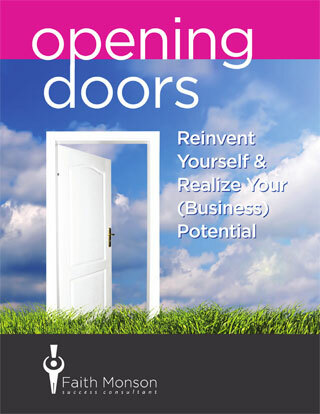 Transcend limitations and open the door to opportunity! Claim the power to create your own possibilities and make fresh, exciting and vibrant opportunities for yourself. Life is too short to wait for other people to open doors to your ideal future. YOU have the power to turn dead ends and old disappointments into new horizons, fresh adventures and unexplored pathways to reach your dreams. This ebook springs from my deep personal belief that we all have untapped power inside ourselves, power to change our lives and our world. In my career as a Success Coach, it has been my privilege to work with hundreds of clients to help them unlock their potential and tap into the enormous opportunities that await them. On each page, you’ll find a short, motivating message intended to get your thoughts percolating. With that message will be a quote that distills the thought into just a few words. You might want to write the quote on a card so you can pull it out and look at it throughout your day, or pin it to your bulletin board to remind you of what you read. I’ve also included an action challenge designed to help you take the first step toward making the ideas a reality. Through the pages of this book, come journey with me as we explore the hidden talents and boundless energy that lies inside you, waiting to be awakened. 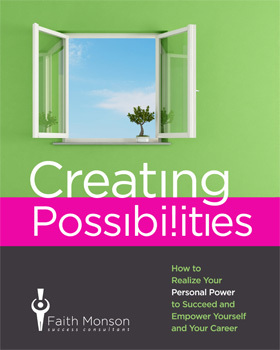 I want to help you create possibilities and successes to realize your full potential and untapped power. Yes, you can! Now it’s up to you to take the next step and download the free e-book. Change is magical, but it doesn’t happen by magic. Hard work, preparation, uncertainty and a willingness to risk all play a part in making dreams come true. If you’re ready to explore your possibilities and live up to your personal full potential, realize that the road to success will require commitment, perseverance and confidence– even when progress seems elusive. Once you accept and embrace change as a necessary part of making your dreams a reality, you have taken the first step toward success. Whether you realize it or not, you are continually coaching yourself. The little voice in your head might be helping you achieve success, increasing your energy and improving your attitude, or it may be holding you back from fulfilling your goals. Those thoughts, whether good or bad, will direct the course of your decision-making, your business, and ultimately your life. Here’s a reality check: Do you often speak to yourself in a critical way? If so, you have a toxic work environment between your ears! The good news is that you can fire that negative inner critic and replace it with a supportive, wise and fair inner coach. Many of my clients identify themselves as introverts. They don’t seek the spotlight, and prefer to listen before they speak. Trumpeting their strong points make them feel like used car salesmen. And in today’s larger-than-life and louder-than-thou culture, my introverted clients wonder if they’re in danger of being overlooked. Actually, I believe introverts bring significant assets to the table that extrovert’s lack. For example, introverts are more likely to prepare more for a meeting or presentation because speaking to a group is outside their comfort zone. Many extroverts “just wing it” and often, make a less-than-stellar presentation because of their lack of preparation. Download the Free e-Book (PDF) by entering your name and email address on the right side column of this page.